UK, 2015 – Britax, leaders in child mobility, proudly return to Cologne’s Kind & Jugend show to champion their latest safety innovations and stylish new product designs. Featuring next generation extensions of some of the brand’s most popular lines, from car seats with advanced added technology to trend setting new wheeled goods with added comfort, Britax will once again be demonstrating their unswerving commitment to helping parents find their freedom through smart, stylish and easy to use travel solutions that promise maximum safety. The latest and most advanced additions to the popular KID FAMILY of Group 2-3 car seats, the KIDFIX II XP SICT and KIDFIX II XP will take the centre stage at this year’s showcase, alongside the new generation ADVANSAFIX, the ADVANSAFIX II SICT, (Group 1-2-3) thanks to theinnovative addition of SecureGuard technology across both ranges. This new small but powerful safety solution from Britax offers enhanced protection for older children’s abdominal areas when booster seats are being used with an adult 3-point seat belt. As well as featuring the new SecureGuard clip, the latest additions to the award winning Group 2-3 KID family, the KIDFIX II XP SICT and KIDFIX II XP (approx. 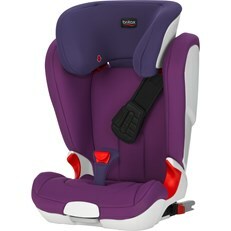 4-12 years),also offer more space for a child thanks to a sleeker cut and design, plus longer ISOFIX connectors to ensure parents get an even better fit in to the car. These new highback booster seats with protective side wings and head support come with all the celebrated safety and comfort features of its predecessors, including the ground breaking XP-PAD. Taking up to 30% of energy forces away from your child’s neck vs the adult seat belt in the event of a crash,*** this cushioned seat belt pad sets a new safety standard for seats in this group. The KIDFIX II XP SICT also comes with adjustable Side Impact Cushion Technology (SICT) which can be activated on the side closest to the door to provide superior side impact protection. The new generation ADVANSAFIX II SICT model on display at Cologne, also boasts the SecureGuard technology and like the original grow with a child from 9 months until 12 years. 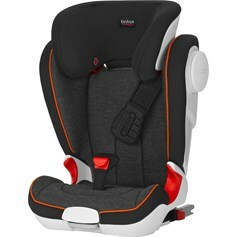 The seat offers parents the option for longer five point harness protection (until 25g) and secure seat belt protection for older children until 36kg. The ADVANSAFIX II SICT offers a similar flexible side impact protection cushion technology (SICT) found on the KIDFIX II XP SICT – a first for this line. The new ADVANSAFIX II SICT features softly padded side wings, head and neck rest, and even easier in-car installation with ISOFIT+ making this seat even more desirable for those busy parents looking for a safe Group 1-2-3 car seat with longevity. Visitors at the 2015 show will enjoy a preview of the new range of nature inspired coloured fabrics which will be rolled out across the Britax Römer car seat collection in 2016. All car seat covers in the Britax 2016 colours will be made in Europe. Britax works closely with a cover supplier in Europe reducing the distance these covers need to travel and having a better control over quality. This includes strict monitoring of the complete production process from buying the yarn to upholstering the cover for the car seat, which is then tested and approved by the well-known independent test institute Bureau Veritas. Britax is no stranger in going above and beyond safety requirements and as thought leaders in chemical free products for families, is once again surpassing legislative requirements on chemicals such as phthalate and their substitutes, PAH, formaldehyde and phenolic compounds on car seats to assure even higher quality, purity and safety for children. Britax‘s 2015 showcase at Kind & Jugend will also include previews of the brand’s first ever i-Size car seat – the highly anticipated BABY-SAFE i-Size Infant Carrier and base systems launching in Spring / Summer 2016. Britax was a major contributor to the development of the new EU legislation that came in to force in July 2013. As per the new legislation, this new i-Size model of the popular Britax Römer Infant Carrier line will be launched together with two ISOFIX bases, offering more space for extended rearward facing travel up to 15 months, and will have proven side impact protection. Theft Protection with code-no.com Your Britax affinity is equipped with a unique code-no.com tag. The system makes it possible for anyone to carry out a status check of a CODE number (www.code-no.com), making the illegal sale of stolen items more difficult and providing, therefore, the registered owner with preventative protection from theft.